Eric Ivan Ortiz-Rivera, 36, was killed at Pulse nightclub two weeks before his one-year wedding anniversary. "He was such a beautiful man," Ivan Dominguez, his widower, told News 6. "He is missed by so many friends, family and co-workers." He was known for being "always happy," his brother Nestor Ortiz said. Ortiz-Rivera worked at Sunglass Hut and Party City. He moved to Orlando from Puerto Rico in 2007 for a better life. "It was my idea for him to move to Orlando and he lived with me the first few months," Ortiz said. But the two would later have a falling out and did not speak for five years. They rekindled their relationship four weeks before the Pulse massacre on June 12, 2016. Ortiz-Rivera preferred to go by his middle name Ivan. It's a name he liked so much, when his younger brother was born, he insisted his mother named him Ivan too. "That's why we have the same middle name," Ortiz told News 6. The name followed Ortiz-Rivera as his partner was also named Ivan. Like most people, Ortiz-Rivera had pet peeves. "He hated when people spelled Eric, his first name with a 'K,’” Ortiz said. 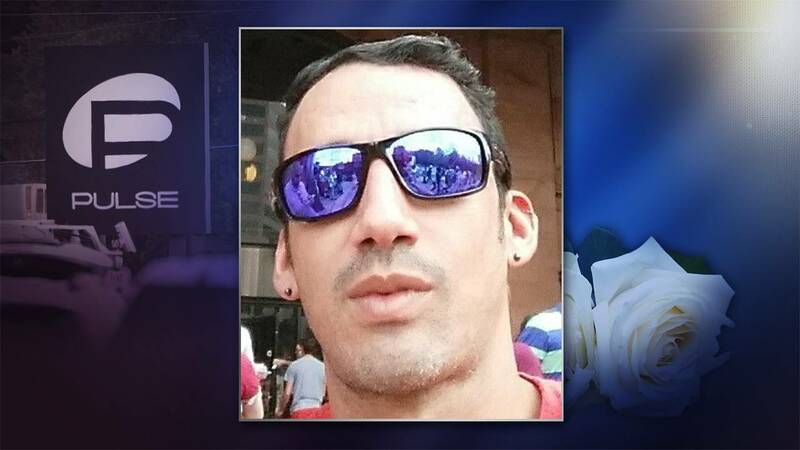 The 36-year-old also joked that he would not live past 40, and made it clear to his family that he wanted to be cremated when he died, because "he was very claustrophobic and didn't want to be confined to a box," Ortiz said. From a young age, Ortiz-Rivera loved to paint. "He was a creative person," Ortiz said. A creative person with a sense of humor, he loved to often use photo-editing software to place himself in locals around the world. In one photo he is in front of the Great Wall of China; in another, in front of the whitewashed walls of Santorini in the Greek Islands. "People actually thought he was there," Ortiz said with a laugh. "He was always in a good mood."